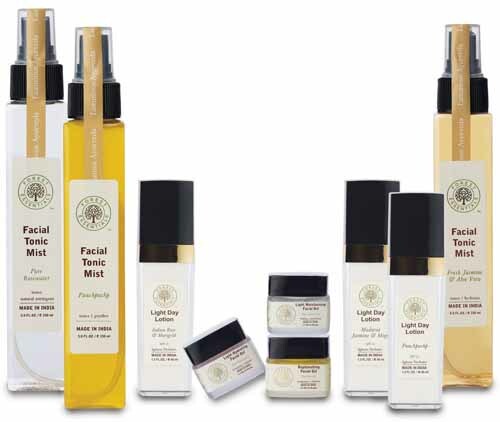 Forest Essentials is a leading Ayurvedic skincare and body-care brand that promises a luxurious experience with all the elements of Ayurveda. 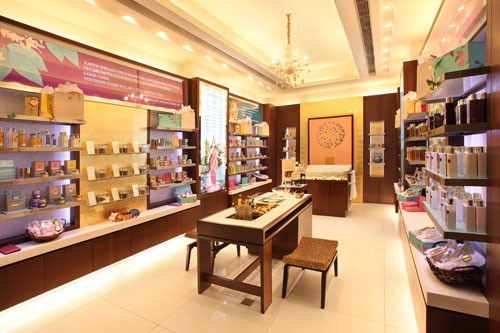 The retail outlet at Galleria in DLF City, Gurgaon is spread over 350 square feet and is beautifully designed to offer customers an engaging,Ayurveda-backed experience and ambience. As you step inside, you’re struck by the combination of aesthetics and the rich colour palette. Bathed in warm colour tones, the store is complete with a signature Forest Essential layout and design - both inviting and appealing - while keeping with the recent visually revitalised look and design. The store offers a complete collection of Ayurvedic skincare, wellness and hair care products. Forest Essentials was founded in 2000 after many years of meticulous research. Followed by years of development with trained Ayurvedic physicians, a range of natural skincare and haircare products was developed. The view that Ayurveda advocates is that a holistic approach is necessary for beauty, and that there is no quick fix for eternal youth.By using only naturally distilled essentials oils, organically grown vegetable oils and plant extracts, Forest Essentials adheresto the guidelines set by Ayurveda. Plants, unlike chemicals or any of their parts or extracts, are full of the vibratory energy that constitutes life. Trees, flowers, fruits, vegetables, herbs and spices are said to contain purifying, nutritive and balancing properties that make them the perfect anti-aging food for the skin.Forest Essentials uses this philosophy to produce their line of treatments for hair and skin care. From organically grown, cold-pressed oils to raw and unprocessed cane sugar to steam-distilled pure essential oils, everything is made the traditional way - according to Ayurvedic tenets and, wherever possible, by hand.The highest quality-control standards are followed in all the factories, as certified by GMP standards. 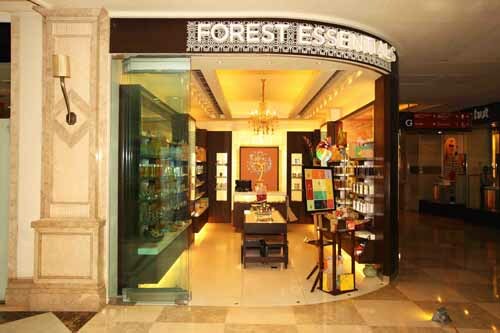 Forest Essentials retails from over 20 company-owned outlets spread across New Delhi, Mumbai, Chennai, Bengaluru, Hyderabad, Jaipur and Ludhiana, and is also a major player in the institutional market supplying the majority of the leading luxury hotel chains in India (including the Taj and Oberoi groups). In 2008, Estée Lauder and Forest Essentials formed a strategic partnership through which the former acquired a minority stake in the latter, making Forest Essentials the first Indian brand in Estée Lauder’s prestigious roster of global players.